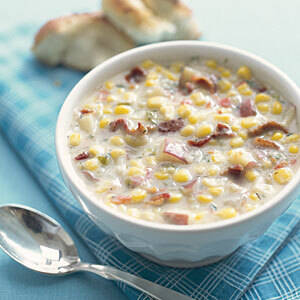 Corn Chowder may seem "old-fashioned" to a few people, but the restaurant guests really "go” for this restaurant chowder recipe. The recipe has been requested numerous times, making this a favorite restaurant recipe. You might also want to garnish with some crispy bacon bits! I do! 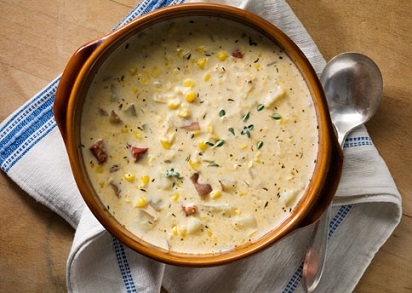 Try serving this delicious chowder with either my Cornbread or Dinner Rolls. 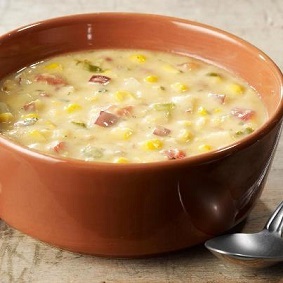 Thank you for your interest in this restaurant chowder recipe. Rest assured, with these restaurant recipes you can cook with confidence and style! 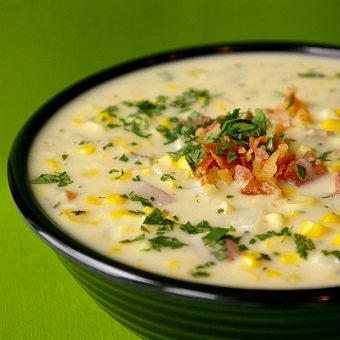 Enjoy this favorite restaurant chowder recipe and the company of those you share it with!